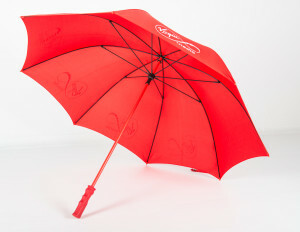 Golf Promotional Umbrellas are great for sporting events and for gifts that make a statement. They have large canopies, ideal for impact printing, and are suitable for men and women. Golf umbrellas tend to make the most durable choice and provide a long-lasting product, plus Brollies & Parasols offer Fibre-Storm® technology giving you storm-proof guarantee. 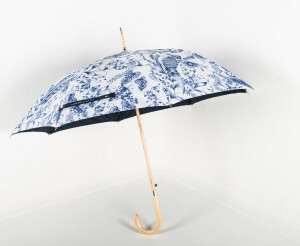 Walker City Printed Umbrellas are not as large as golf umbrellas so ideal for cities or where space isn’t so available. They are slightly shorter in length making them an ideal height to assist walking and support the user. 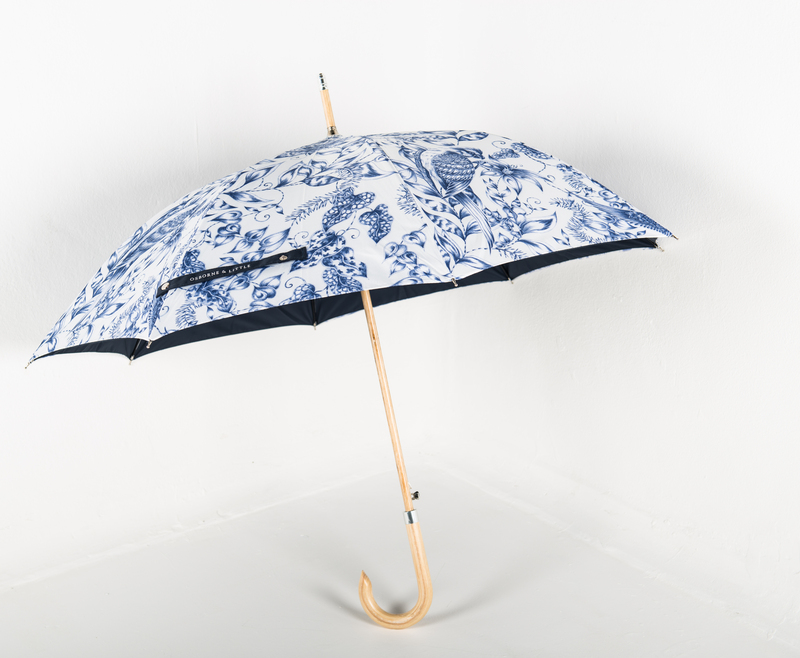 Again Brollies & Parasols offer Fibre-Storm® technology for some of its Walker umbrellas giving you storm-proof and extremely durable product. 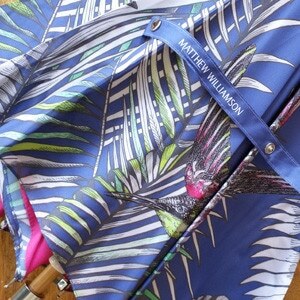 Telescopic Branded Umbrellas are compact and collapsible. They are super slim and fit ideally into bags, whether a goody bag or a handbag. Because of their size they are easy to store and giveaway. These come in a range of durability – depending whether you are looking for something more budget to last for an event or something stronger for more longevity. 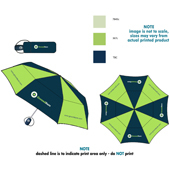 Once you have an idea of what type of promotional umbrella you think is most appropriate for you, simply fill in our Quick Quote form. This is a great way of getting some initial prices so you can see if it fits your budget. Don’t worry if the quote is way out of your price range, give us a call and we can show you some alternatives that fit the bill or ways to bring the final cost down. This may be as simple as going for a different colour or a cheaper handle could bring the price down considerable! Once we have heard from you our expert team we will then be in contact with a full quote, promotional umbrella specs and information on delivery and turnaround times. 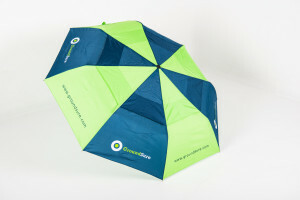 Next simply send us your logo and our Design Team can put together a range of design options for your branded umbrella. 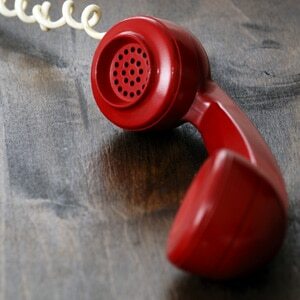 We can take direction from you if you have some ideas or if not just leave it to us! We can also give you a full list of customisable branding options that you might be interested in that will make your promotional umbrella truly branded, including contrast trim, double canopies, Pantoned matched frames, packaging options and different handle styles. Find out more. Once you are happy with the sample…. Just leave the rest to us and our factory will get moving to start manufacturing your branded umbrellas exact to your specifications. We have an expert team who can print and make your branded umbrellas quickly and to an extremely high standard. We then deliver these out direct to you – fast.